Marissa Longoria, a Valparaiso University senior double majoring in political science and sociology from East Chicago, Ind., presented her project on immigration issues at the Clinton Global Initiative University,which took place March 30-April 1 at George Washington University in Washington DC. Longoria’s project, a website titled Voices of Nuestros Vecinos (Voices of Our Neighbors), was designed to complement the work of immigrant-serving organizations by creating a space for immigrants to reflect on social and emotional challenges associated with immigration. The website serves primarily as a place for immigrants to share their stories, but also to connect with resources in their own communities. The Clinton Global Initiative University (CGIU), launched by Bill Clinton in 2007, is a conference that inspires the next generation of world leaders to take action on global challenges. At this meeting, nearly 1,200 students, national youth leaders, topic experts, and celebrities discuss solutions to pressing global issues in CGIU’s five focus areas: education, environment and climate change, peace and human rights, poverty alleviation, and public health. Longoria is currently participating in the Lutheran College Washington Semester program in Washington, D.C. She joined fellow Washington Semester student Kristen Wall in developing a Commitment to Action, which was one of the prerequisites to being accepted into the CGIU conference. As one of 6,000 applicants, however, Longoria knew that acceptance into the program was a long shot. Longoria attributes inspiration for the project to her background, her passion for helping others, and her experience at her internship at Ayuda, an organization with the mission of protecting the rights of low-income immigrants in the Washington, D.C., metropolitan area. 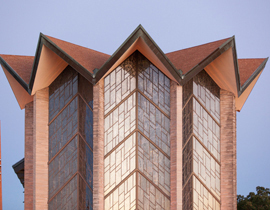 Valparaiso University is a comprehensive independent Lutheran university with more than 4,000 students on its campus located in Northwest Indiana, an hour from Chicago. 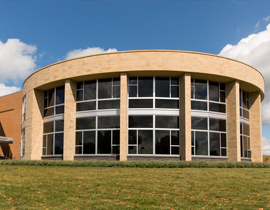 Valpo is a community of purpose-driven, service-minded and ethical individuals who embrace the pursuit of truth with freedom, humility and compassion. Valpo has been identified as one of the top master’s-level institutions in the Midwest by U.S. News & World Report magazine for the past 22 years. 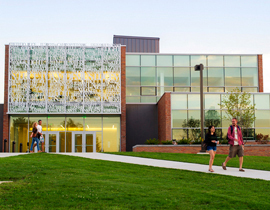 Valparaiso University offers 110 undergraduate academic programs through the colleges of Arts and Sciences, Business Administration, Engineering and Nursing. 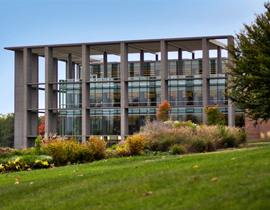 Valpo also has a distinguished honors college, a School of Law and more than 40 degree and certificate programs in its Graduate School and Continuing Education Division. Valpo has been recognized for its commitment to outstanding teaching, preparing thoughtful leaders with strong cross-cultural skills and global awareness, and dedication to serving others.